One of London's smallest and least-known museums is up against one the city's biggest and most famous — for the title of Museum of the Year 2016. 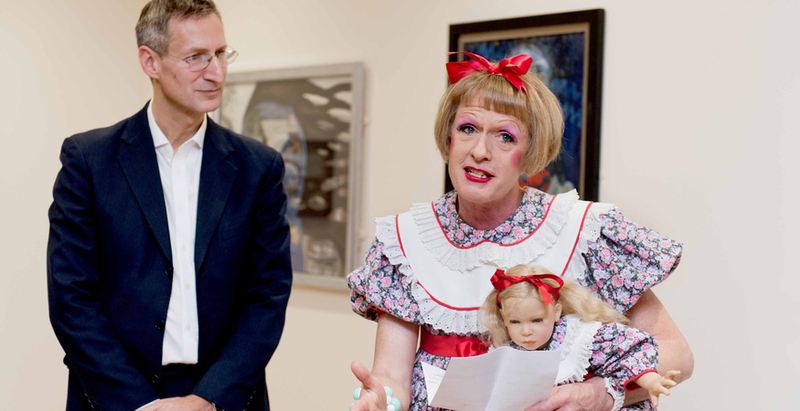 Bethlem Museum of the Mind — a new gallery and museum housed at the world's oldest psychiatric hospital, in Beckenham — is tussling it out with Kensington cultural giant the Victoria & Albert Museum, along with three other UK museums which have made it to the final shortlist of five. There's been a Bethlem Museum for 40 years, but until last year it was housed in a small cabin on the hospital grounds. In 2015 it finally moved into an art deco building at the heart of the hospital, joining up with Bethlem Gallery. Gallery spaces explore why people arrive at Bethlem, aiming to inspire discussion, debate and reflection on mental health issues. Art and artefacts cover everything from the founding of the Priory of St Mary of Bethlehem in 1247, through to present day work with patients. The V&A has had a bumper 2015 too, welcoming almost 3.9 million visitors across its sites, and staging its biggest selling exhibition ever, Alexander McQueen: Savage Beauty. As for the non-London museums, they're Arnolfini in Bristol, Jupiter Artland in Edinburgh and York Art Gallery. Museum of the Year will be announced at the V&A's next door neighbour, the Natural History Museum, on 6 July. We visited Bethlem Museum of the Mind in one of our podcasts last year.